Order your original replacement Alessi watch straps at Watchstraps-batteries! 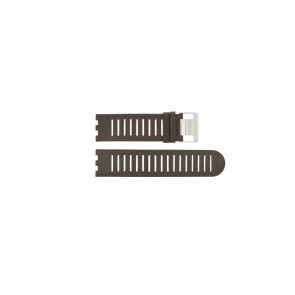 Our wide range of Alessi watch straps contains popular and less popular models. Are you looking for a new watch strap for your Alessi watch or do you have any questions regarding your Alessi watch? You can always contact us for all your questions. Does your current Alessi watch need to be repaired? We have our own experienced watch repair service for Alessi watches. Please contact us if you would like to know more about our repair service. Are you looking for an Alessi watch strap or any other watch part for your Alessi watch, but you can’t find a specific model in our webshop? Alessi is originally an Italian metal processing company, but now the company has become a successful manufacturer of all kinds of functional design items, including fashionable watches. Alessi watches are known for their simple yet tight looks. Alessi watchbands are available in many materials and colors. Often, Alessi watch straps consist of leather or rubber / plastic materials and are available in many different colors like black, red, yellow, green and blue.